Naturally sweetened and low-sugar pumpkin bread is full of flavor without the guilt. America’s Test Kitchen has a new cookbook out, and I’m so excited about it. 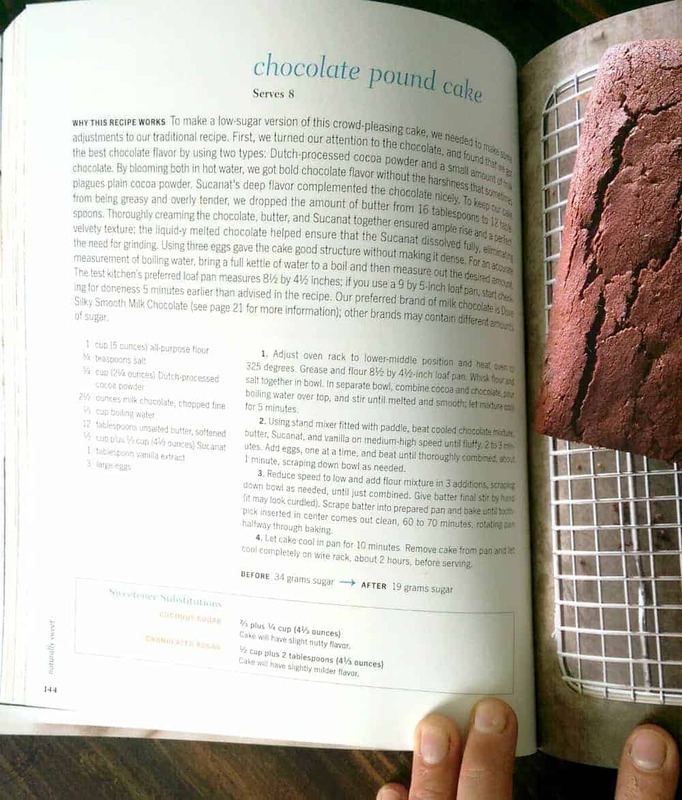 The book is called Naturally Sweet and it is going to change your baking. The first two chapters in the book are all about sweeteners in all forms, what they are, how they are processed, and how they work in baking. One of the reasons I like America’s Test Kitchen (ATK from here on out) so much is because they take the time to teach you what they did, why it works, and how you can make it work in your own kitchen too. Their recipes are fool-proof and delicious. ATK went on to pick five natural sweeteners (honey, maple syrup, Sucanat, date sugar, and coconut sugar) and told you why they did. They then reduced the amount of sugar in a bunch of awesome dessert recipes, and used natural sweeteners in place of traditional white sugar. Here’s the best part though: every recipe calls for what they felt was the best natural sweetener to use, but then it also gives you the second best option (and how it will change the recipes) AND how much white sugar to use. You don’t even have to use natural sweeteners to get low-sugar baked goods, the book is that well-written. There’s so much learning and science in this book that it would be worth getting it just to be more informed on natural sweeteners. I loved reading it. I decided to make this lovely naturally sweetened low-sugar pumpkin bread from the book for my review today. This recipe has an amazing texture, the color is bright, the spices are just right, and it tastes great. It’s not your traditional sweet-as-cake pumpkin bread, but it’s still delicious. I wouldn’t think twice about giving this to my kids in the morning for breakfast. For this recipe, you cook the canned pumpkin puree and the spices a bit on the stove top. This reduces the pumpkin to bring out its natural sweetness, and it blooms the spices, which makes their flavor even better. Isn’t that a neat idea?! The best part is you just make the rest of the sweet bread batter in the pan you cooked the pumpkin in, so there is no mixing bowl to wash. The toasted walnuts were also really great in this bread and I wouldn’t leave them out. Because it’s not over-the-top sweet, you really can taste the different elements like spices, pumpkin, and walnuts, so be sure to add them. 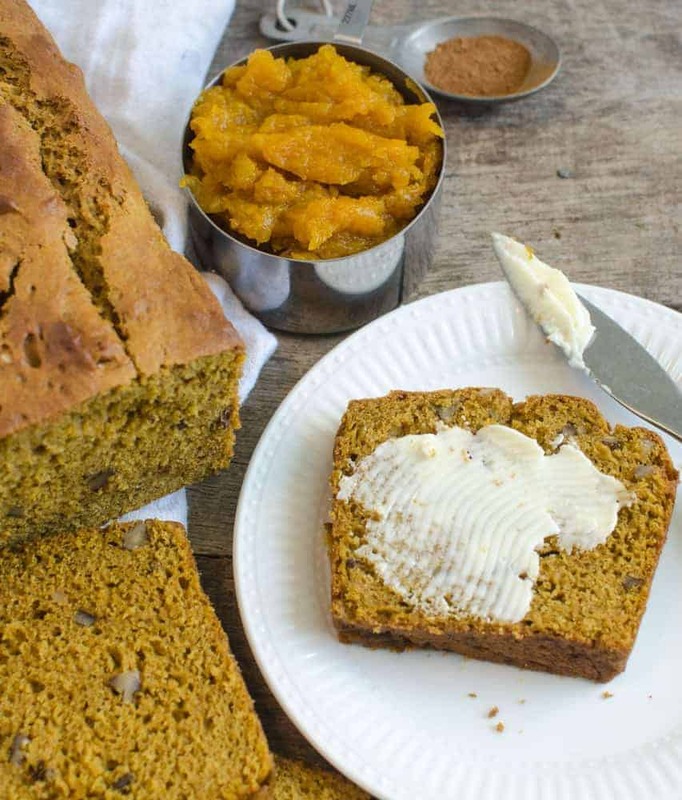 If you are make this low-sugar pumpkin bread and decide you are wanting it to be a little more sweet, you could always serve it with a whipped honey butter or make a glaze to go over the top. Craving more? 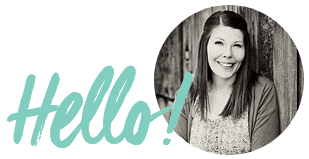 Subscribe to Bless this Mess to get new recipes, meal plans, and a newsletter delivered straight to your inbox! 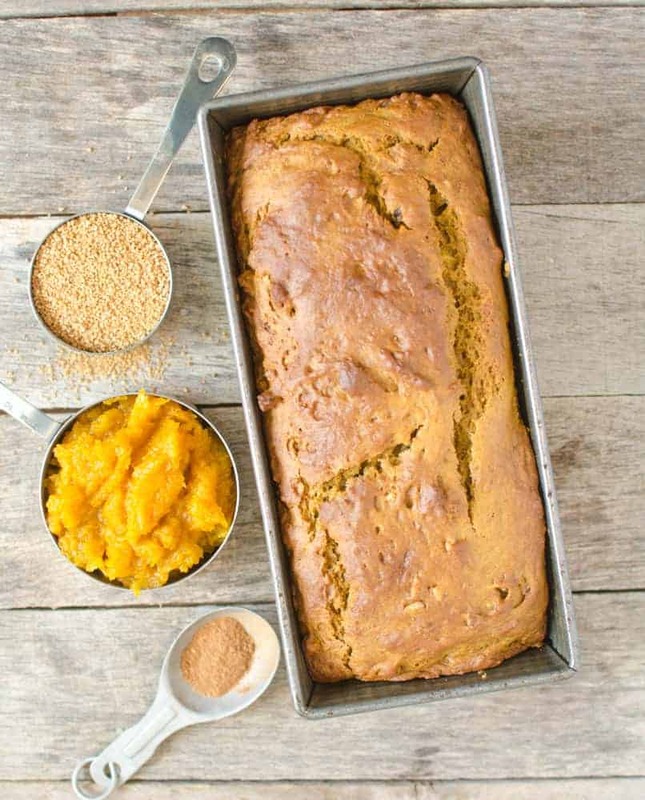 If you try this low-sugar pumpkin bread, let me know what you think! Leave a comment, pin it, and don’t forget to tag a picture #blessthismesseat on Instagram. I love to see your kitchen skills in action! Adjust the oven rack to the middle position and heat the oven to 350 degrees. Grease an 8 1/2 by 4 1/2-inch loaf pan and set it aside. In a small bowl whisk together the flour, baking powder and baking soda, set aside. In a medium saucepan add the pumpkin, spices, and salt. Stirring constantly, cook the mixture over medium heat until the pumpkin is reduced to 3/4 of a cup, about 6-8 minutes. Take the pumpkin mixture off the heat and stir in the Sucanat, oil, and cream cheese. Let the mixture stand for 5 minutes and then whisk until the mixture is smooth and there’s no lumps of cream cheese left. Whisk in the eggs and buttermilk. Fold in the flour mixture using a rubber spatula until the mixture is just combined (don’t over mix), and then fold in the nuts. Add the batter to the prepared pan and smooth the top. Bake until a toothpick inserted into the center comes out clean, 50 minutes to 1 hour. Let the bread cool in the pan for 20 minutes then transfer it to a wire rack and let it cool for at least 1 1/2 hours before serving. To replace the Sucanat with coconut sugar use 3/4 of a cup of coconut sugar. The bread will taste similar but will be slightly darker in color. To replace the Sucanat with granulated sugar use 1/2 cup of granulated sugar. The bread will taste slightly less sweet and more mild. Sugar went from 24 grams of sugar per serving before to 11 grams of sugar per serving in this recipe. I wanted to show you an inside page of this book too, because I think it’s awesome. Each recipe has a big long “Why This Recipe Works” section, a full-color photo, the recipe, and the box at the bottom of the page (it’s hard to read in this photo). That’s the “Sweetener Substitutions” box, which tells you how much coconut sugar or granulated sugar you can use (in place of the called for Sucanat) and what effects they will have on the end product. So much to learn! I took the time to read the Amazon reviews on this book. There were two main issues that people had with the book, and I’d like to address them both. 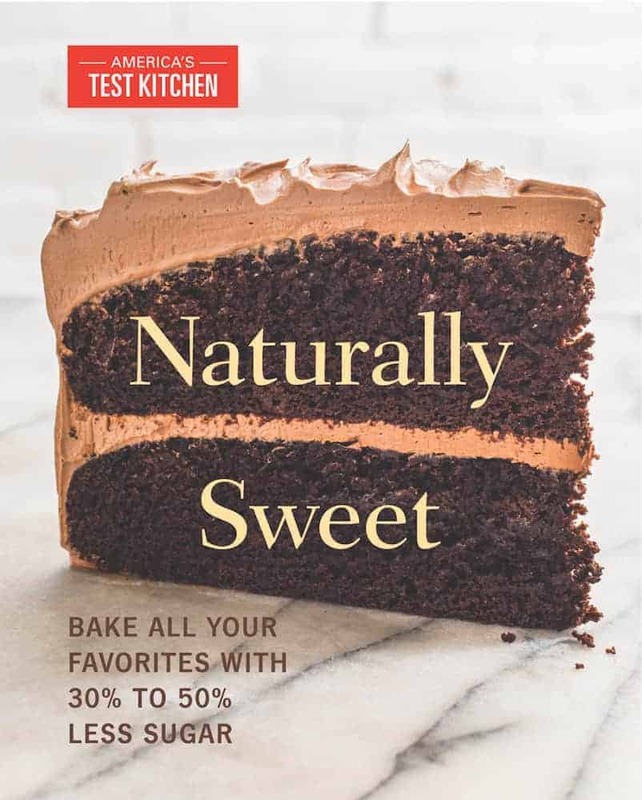 First, some people thought it didn’t really make sense to make a book with natural sweeteners that still relied on white flour opposed to whole grains in the baking process. I didn’t feel like that was the goal of the book (though a book using only “whole” foods in baking would be awesome, ATK! Just so ya know!). The goal was to cut white sugar and use natural sugar. Don’t expect whole grains. I would like to say though, that if you are trying to eat more whole grains and you have been doing some swapping of white flour for whole wheat flour, you can still do that here. I do lots of baking with whole wheat or oat flour instead of white flour, even when the recipes calls for all-purpose. I have no issue doing the same with these recipes if I like. The second issue that people had was that they were expecting these to be “diet” recipes. The recipes still use full-fat dairy products and still have a pretty normal amount of calories. They also do not have options for zero-calorie sweeteners, which some people assumed would be part of “low sugar.” I’d much rather have full-fat dairy and natural sugars in my diet (in moderation) than all of the strange things that are added to most products to make them low-fat or zero-calorie. These aren’t diet recipes, even if they are low-sugar. Now that you’ve read my review, hopefully you’ll be able to make an informed decision about this book. If you have followed my blog for a while, you know that I love America’s Test Kitchen, and I really feel like this book aligns great with my food philosophy. 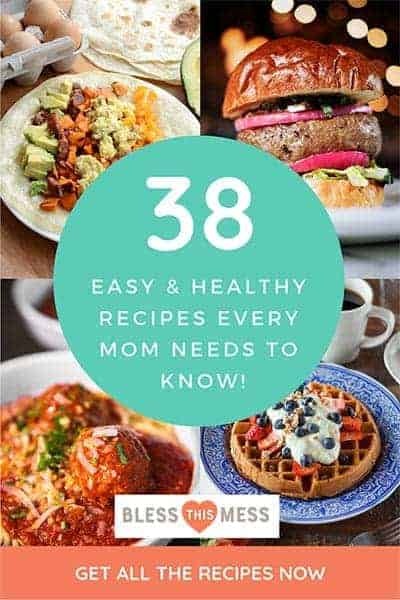 I loved learning about all the different sweeteners and I’m excited to have naturally sweet but low-sugar recipes that really work in my kitchen. I’d recommend this book if you are looking to decrease the amount of processed sugar in your life. Disclosure: America’s Test Kitchen sent me a copy of the book to review but I have not been compensated for my time or for writing this review. I just love ATK!!! Your bread looks soft and delicious, I think this is a simple recipe but I was surprised because the results of your bread looks perfect especially healthy because it low sugar. 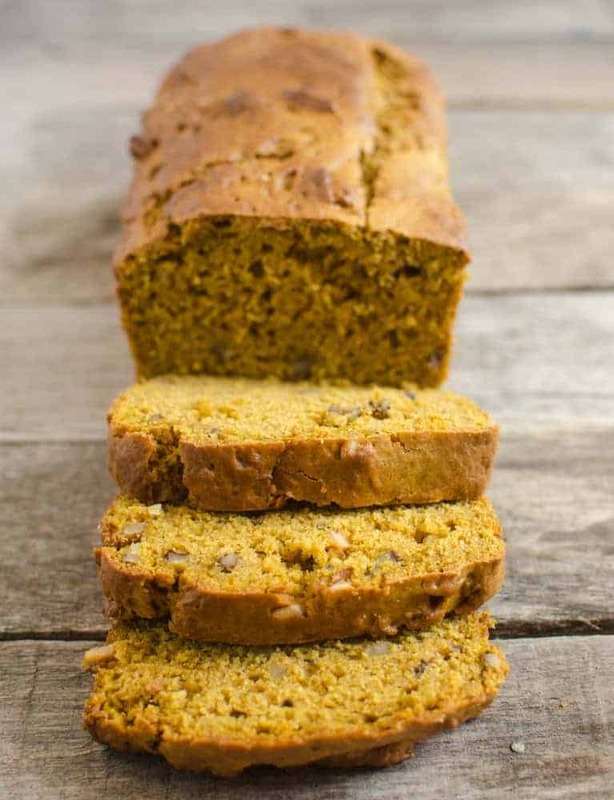 Great flavor & texture in this yummy not-so-sweet pumpkin bread…perfect fall treat! So glad that you like it Kathy! All that flavor with out the extra sugar.